Actually it’s a photograph of a cedar tree. It’s a picture of all the crap you just said. I got this guys. 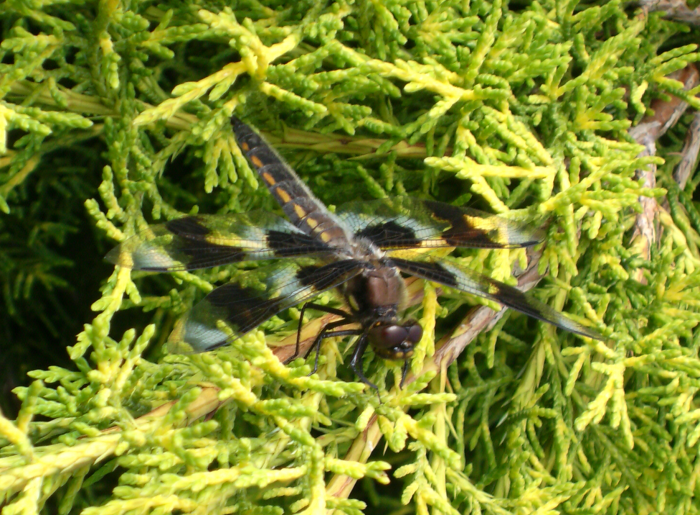 It’s a dragon fly. actually, it’s a damselfly. dragonflies hold their wings at 90 degree angles to their body, and damselflies hold their wings paralell to their body. No, it’s a skimmer, and you got dragons and damsels mixed up. The latter fold their wings up straight up from their thorax. Dragonflies and skimmers, like this one, hold them straight out.